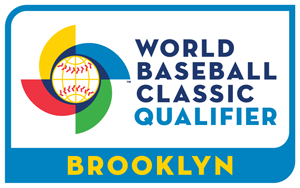 Umpires for the 2016 World Baseball Classic Qualifier (Brooklyn Stage) convened in Brooklyn, New York, USA and officiated the final round of qualifying games for the upcoming 2017 WBC, featuring teams from Brazil, Great Britain, Israel, and Pakistan. Six games were scheduled from September 22 - September 25. The following is a list of the umpires who have been assigned to and appeared during this WBC stage, along with their respective countries and/or leagues of representation. Alberto Ruiz (USA [Las Vegas, Nevada], Pacific Coast League [PCL]). *Eggert also officiated the 2016 WBC Qualifier in Sydney, Australia.